Well boys and girls you can stop holding your collective breath, because this season’s heavy hitter (sorry SnK) is here at last. 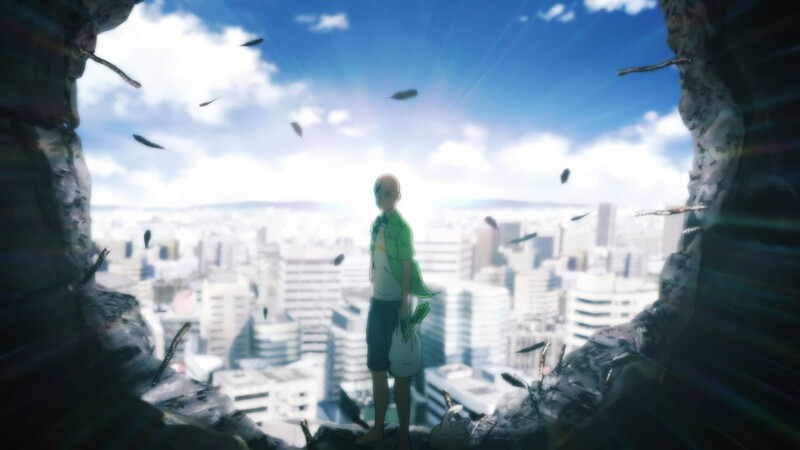 Considering all the talk concerning release delays, studio choices, and that oh so divisive PV animation quality, OPM’s sequel was always going to lead to some serious post-premiere discussion, and so far at least that aspect hasn’t disappointed. No matter one’s bald headed opinion of things to date, there’s no denying the results in practice so far are not at all what many were expecting. 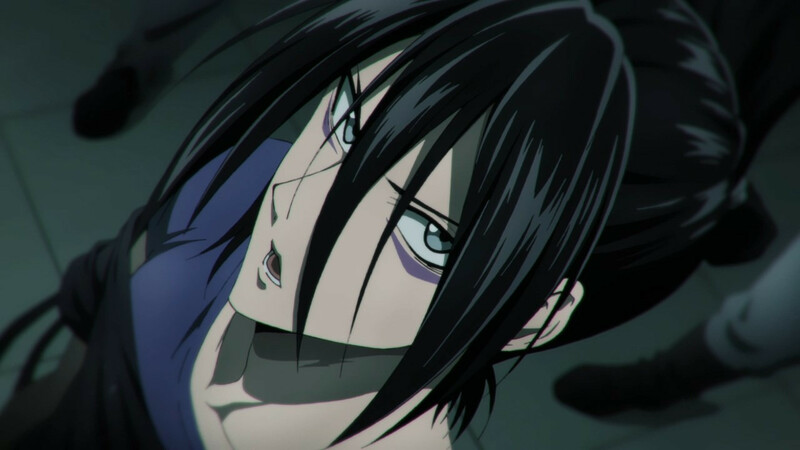 Given it’s on the tip of everyone’s tongue might as well get the obvious out of the way first: yes, the animation quality doesn’t live up to the first season. 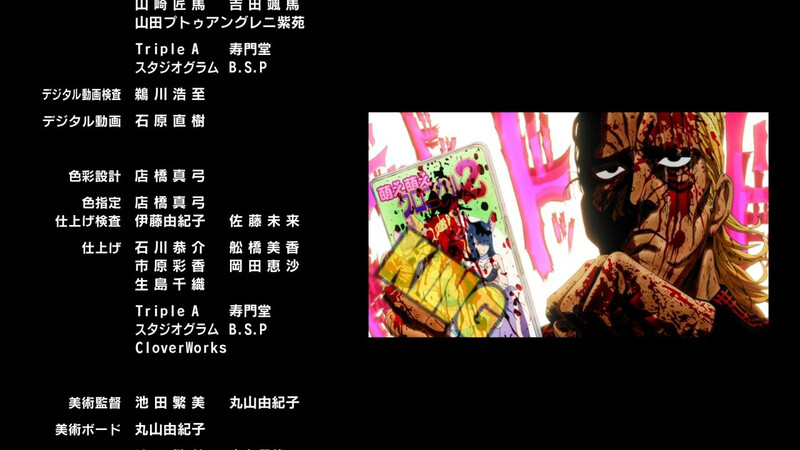 Frankly this was always going to be a struggle to achieve, even if Madhouse was potentially brought back for this round—the money, staff, and committee desire (read: willingness to spend large sums of money) were perfectly in sync then to give us that bit of anime gold, and lightning rarely ever strikes twice. 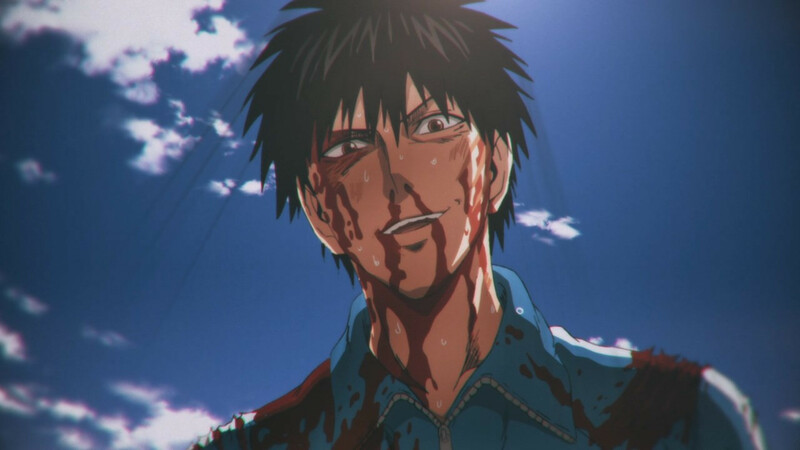 The good news though is J.C. Staff’s version (so far at least) isn’t as terrible as many were fearing from the PV. 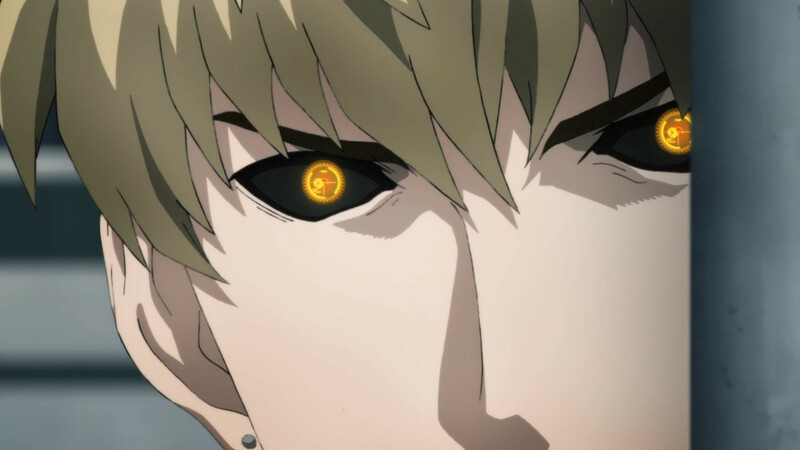 While a noticeable qualitative drop does exist—see Genos’ (Ishikawa Kaito) cyborg arms or the use of camera movement to cover up the use of still shots—J.C. Staff have kept the art similar and made attempts to retain detail. 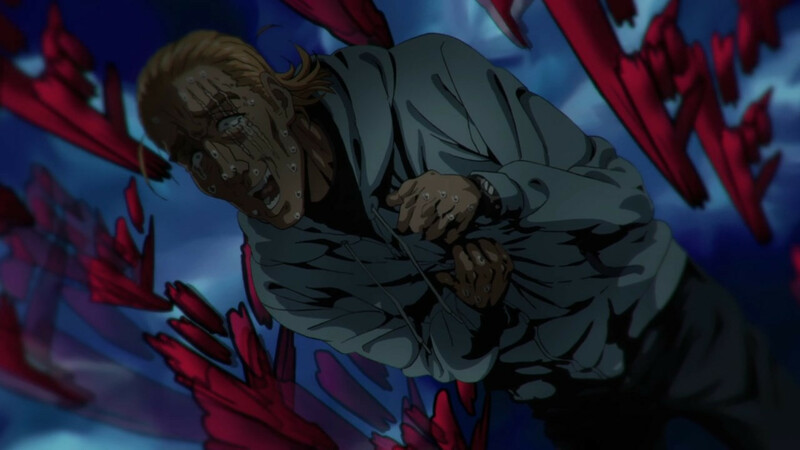 The colours and colour filters may be bad, but overall it’s good animation, and far beyond the likes of Index III last season (seriously, if you think this is bad you haven’t seen some of J.C. Staff’s other work). 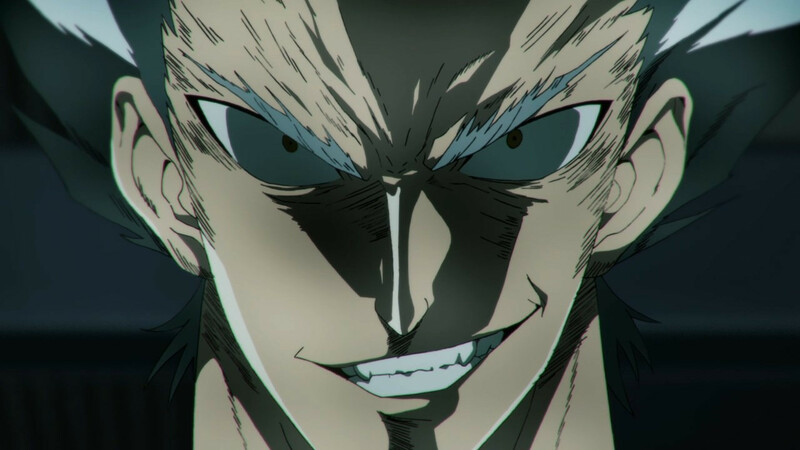 The caveat of course is we don’t know what the rest of the season will bring (especially with the bigger fights to come), but here at least OPM has hit the ground running. 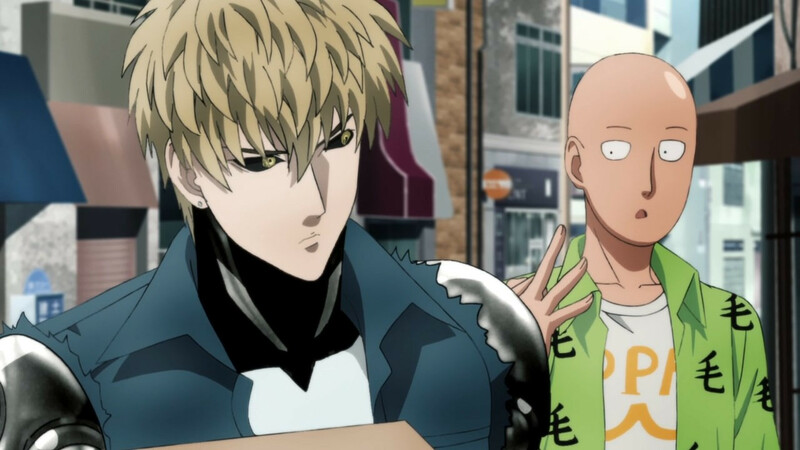 Similar to the first season, where OPM may quickly run into problems is in regards to story. 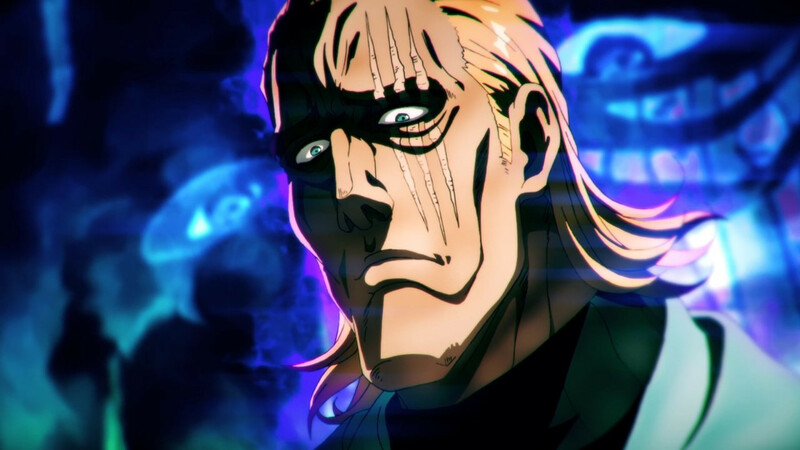 No matter how gorgeously animated the fights here may be, there’s no denying OPM to date has largely been an odd-ball collection of arcs banded together with no real linking thread, and this episode (and the first part of this season) won’t be changing that approach. While plenty of teasers for the later overarching plot are slowly surfacing (ex. 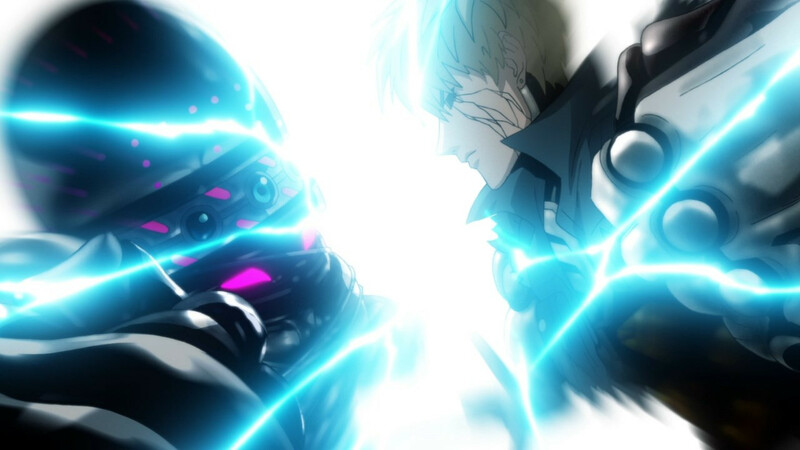 the Organization, Shibabawa’s prophetic vision, Genos’ mysterious cyborg enemy), it’s easy to think this season will just be more of the same when you have Genos hurriedly battling robot gods and Saitama (Furukawa Makoto) showing why King (Yasumoto Hiroki) is the best (truly) in the same episode. It may not technically be rushing, but damn it sure felt like it at times. Provided you’re here for the characters (King is the best dammit!) 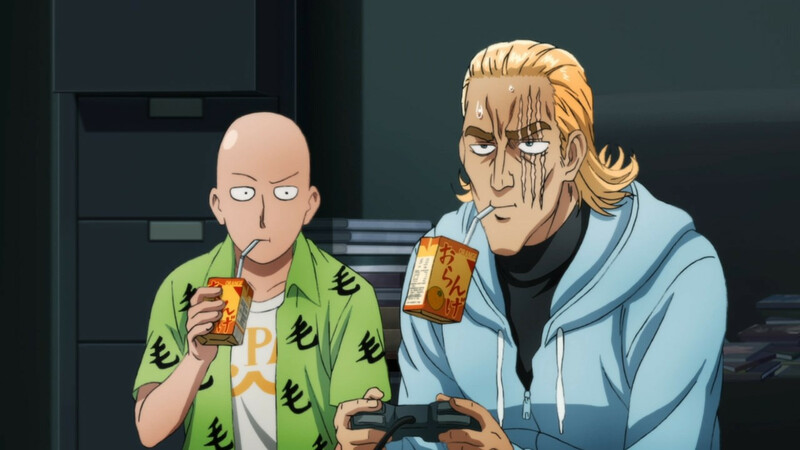 and not for any multi-season save the world plot however, it’ll probably be like OPM never left. 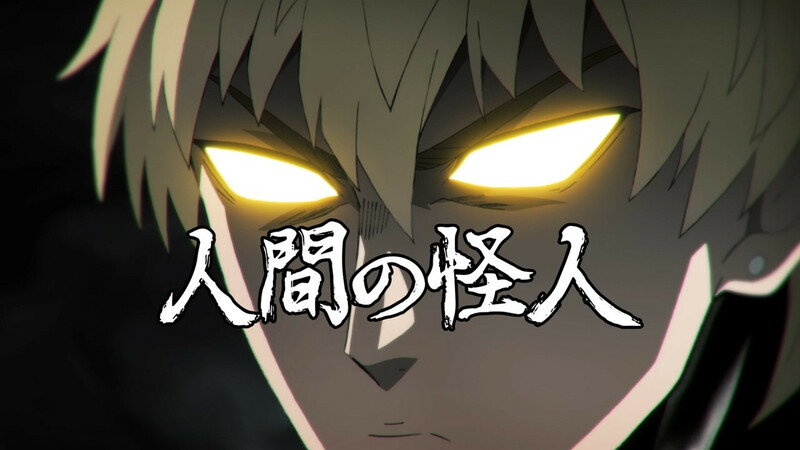 Considering all the teasing in that OP and the promise of some fan favourites making their return before too long, I don’t imagine there will be too many complaints on that front. 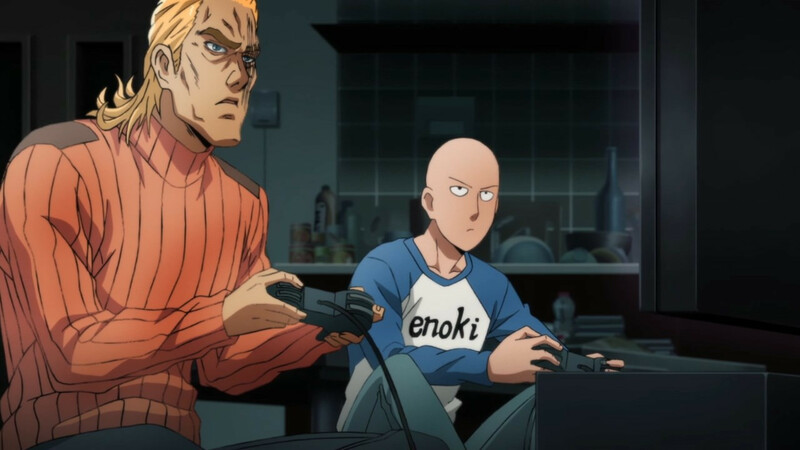 While we may not know yet what the rest of OPM’s return will bring us, you can bet the results will prove highly entertaining. 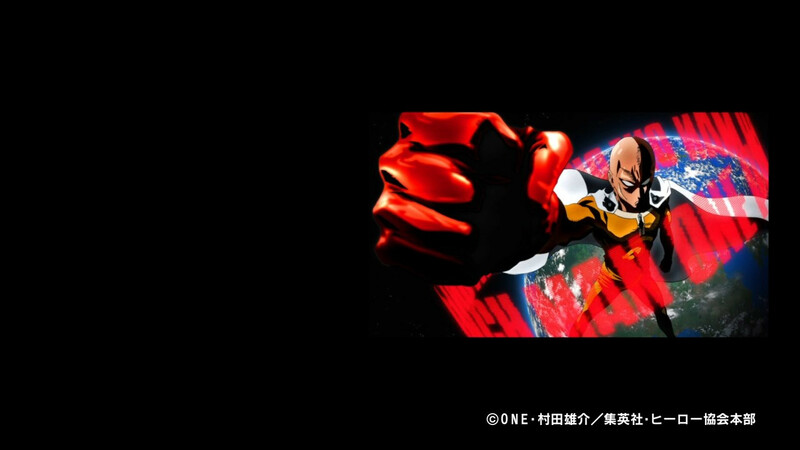 It may not wind up being the OPM everyone desperately craves, but one way or another, this is one ride which certainly won’t prove disappointing. Because that is just how strong he is. Might as well ask why Saitama is considered a nobody, despite having openly obliterated dozens or hundreds of supervillains. It’ll likely be better explained later, but mostly because the guy is lucky as hell (besides the comedic quality mind you). 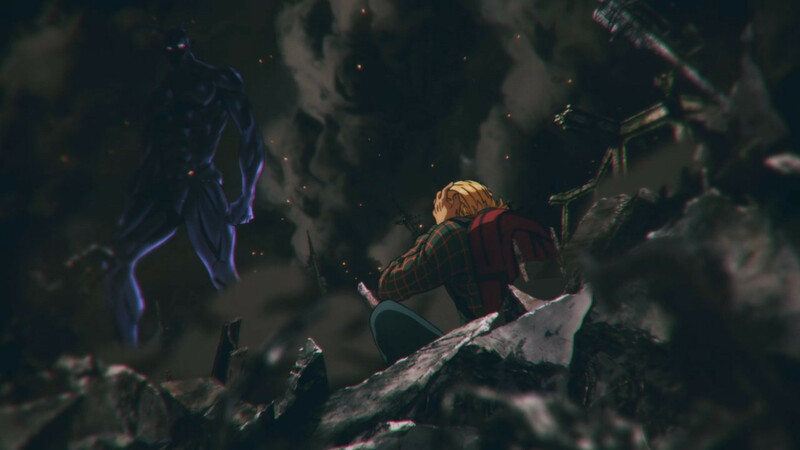 Monsters seek him out, but there’s always a proper hero nearby to eliminate the threat. Never underestimate the power of hearsay and rumour—it’s made plenty a man before they were found out. ??? They already explained it. 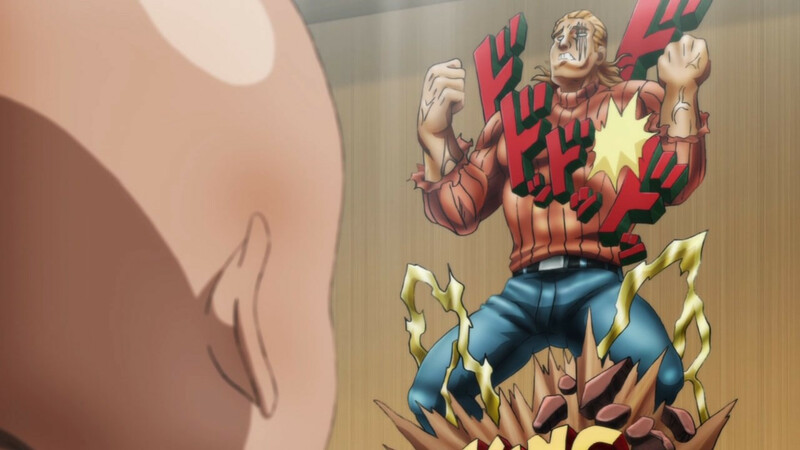 King, coincidentally, wound up at the scene of a lot of Saitama’s fights. 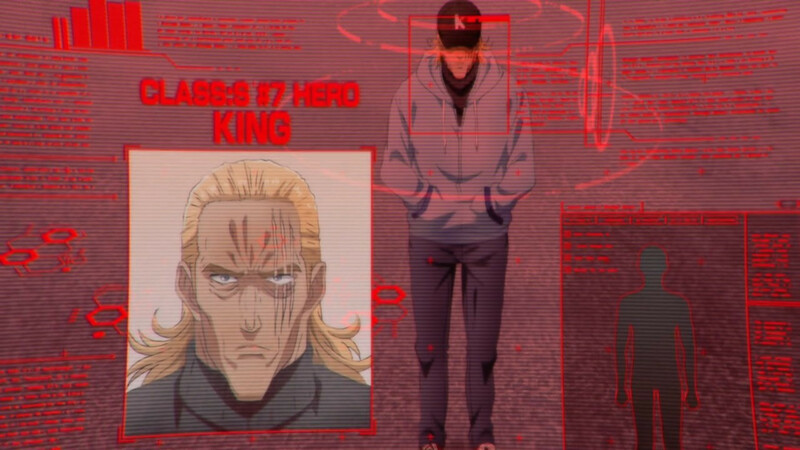 Only Saitama leaves immediate, so when when the HS check up on it they only see King there and assume he’s responsible. 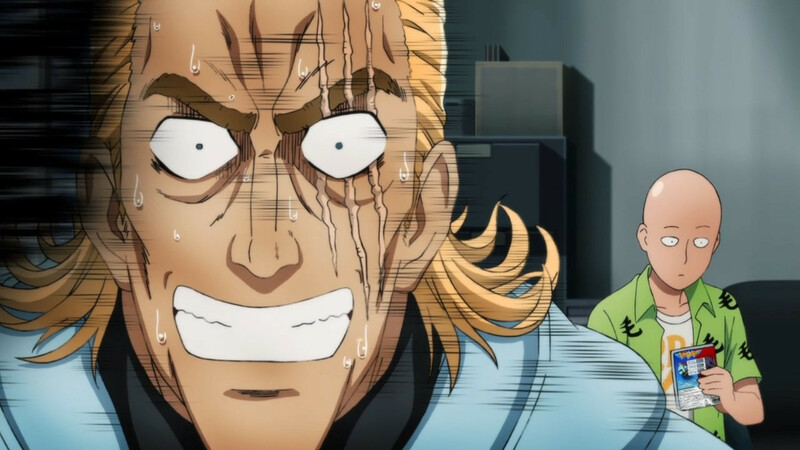 Fun fact – OPM’s artist wanted to do a manga version of Back to the Future (the movie with Michael J Fox & Christopher Lloyd) but had to cancel it since he and his editors couldn’t resolve “rights issues” related to the property. Some suspect the “rights issues” were related to depicting the DeLorean time machine car and (likely) inflated demands from the current IP rights holder of the DeLorean brand. Great link – shame that IP has ruined another possible great work. and American boldness in a single image. A true artist. 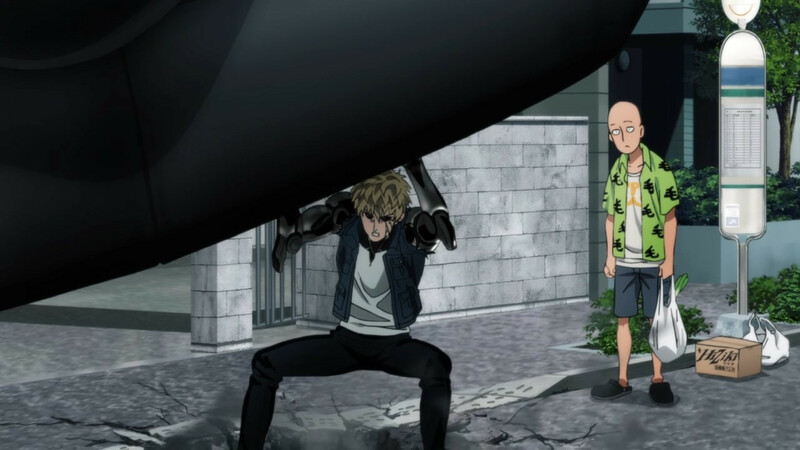 Genos’ mysterious cyborg enemy, the prophecies, King and Saitama. Say what you will, but if not for the outstanding season 1 quality, we would not be as critical of season 2. Season 1′s animation is of a quality rarely seen nowadays. But anyway, this wasn’t bad any means. This looks like 26 episodes. And if that is the case, I would be happy if every episode looked this good. 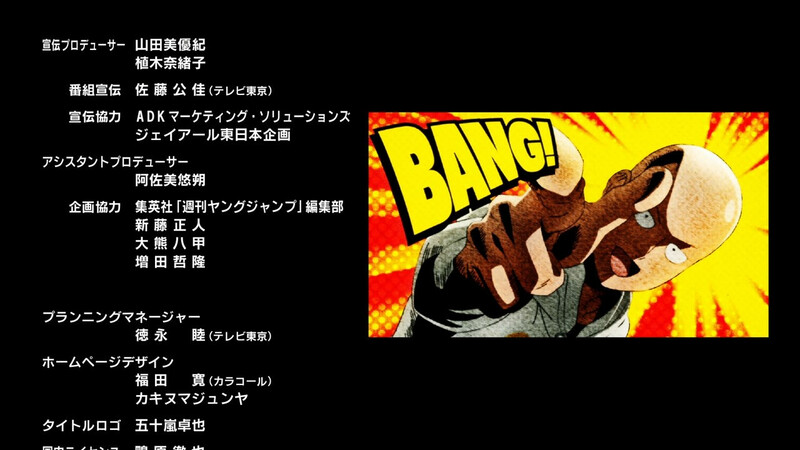 If it’s 26 episodes there’ll have to be a surprise split cour announcement because this season has been confirmed 12 episodes only unfortunately. Doh! Okay. Wow. They’re not going to cover nearly as much ground as I thought then. Say what you will, but if not for the outstanding season 1 quality, we would not be as critical of season 2. Season 1′s animation is of a quality rarely seen nowadays. But anyway, this wasn’t bad any means. Agreed. 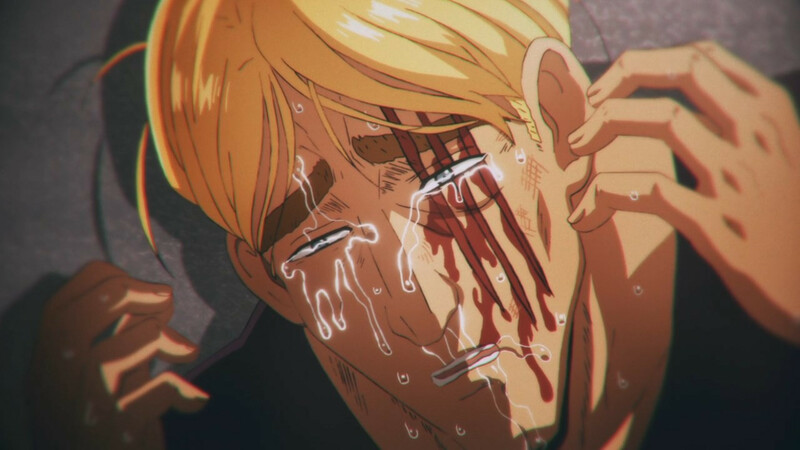 After watching shows getting progressively worse in the animation department, I can’t complain about this season beyond “I wish it was like the first one”. That was a miracle that only happens once in a blue moon. 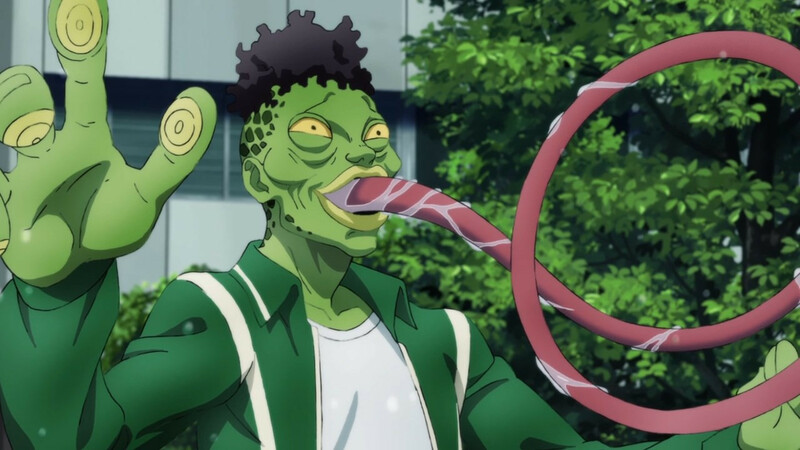 In any case, I predict this season will benefit more from the characters than the fights (as it happened in the manga). 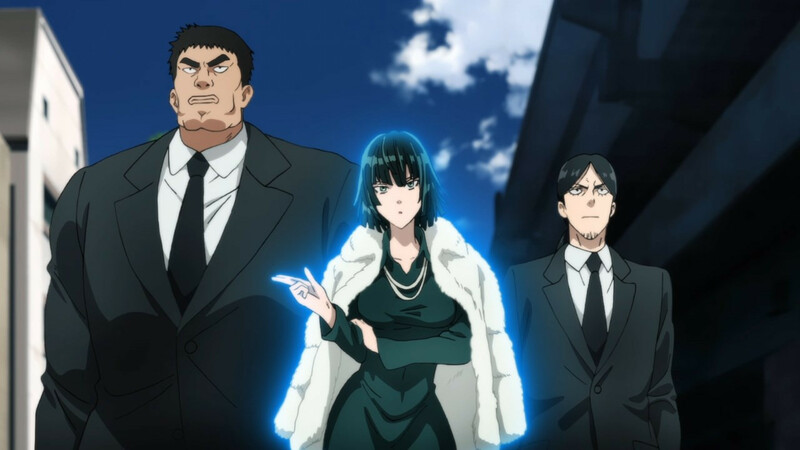 King finally got a proper introduction, and it will now be the turn of Fubuki (2nd most popular character in the official poll just after Saitama) and her gang. This is perhaps true. But rather than the animation, my biggest problem with the second season, so far, is the direction. 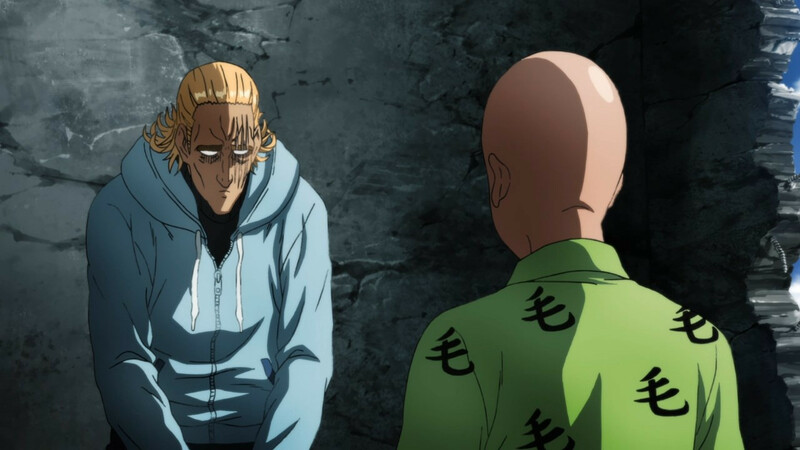 OPM is all about the humor, but the timing in this episode consistently felt off. 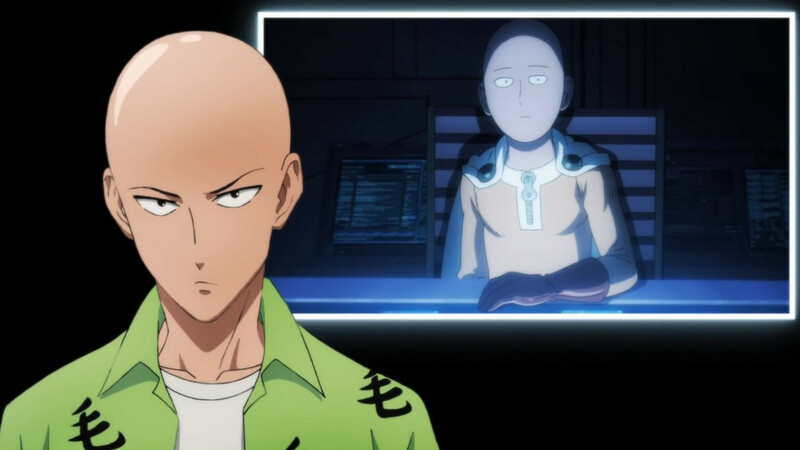 Watched OPM S1 last week and I think Saitama’s voice is different in S2. 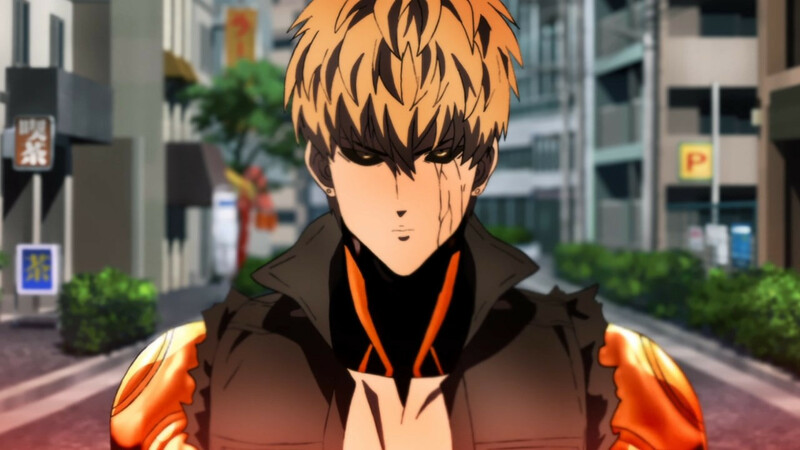 Genos retains the same voice however. In fairness, it’s like how my D&D character has a different voice week in week out. 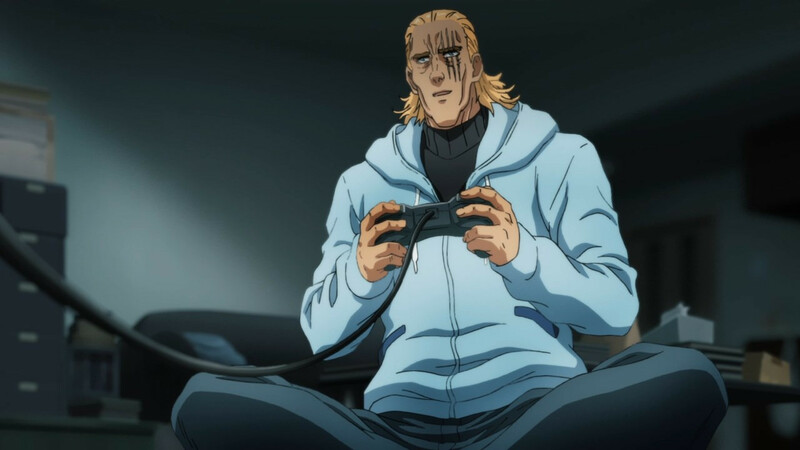 It’s pretty difficult maintaining a specific non-natural voice 100% of the time, let alone being a voice actor that is required to recall their myriad of different character voices on a regular basis. When season one was released I was constantly complaining about how this show was a one-trick pony and had gone stale for me. Now, I’m surprised to find that I’ve stayed away from it long enough that it actually feels fresh enough for me to hyped. 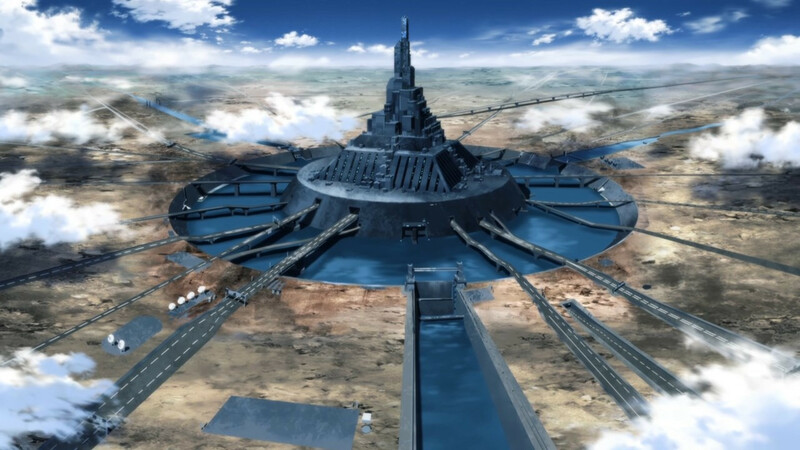 It certainly doesn’t stray far from it’s base concept, but considering a lot of people are just here for those gorgeous fights I wouldn’t say it’s all bad. Personally I’m just hoping this season can more or less match the last in terms of narrative quality. Yeah, the downgrade was noticeable, but as long as the show manages to mostly stay consistent animation wise (unlike Index III), then that’s okay. 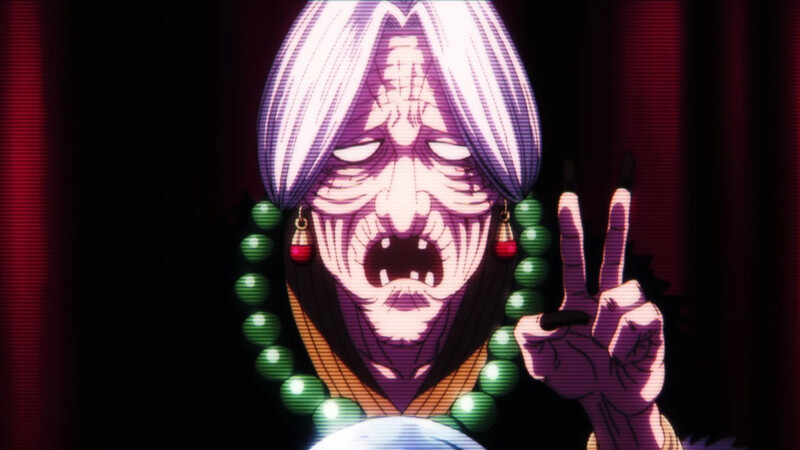 I really enjoyed the episode, so good to have OPM back. After all the drama I was expecting something waaaaaaay worse than this. I am not bothered by the animation as compared to the way the story was brought across. 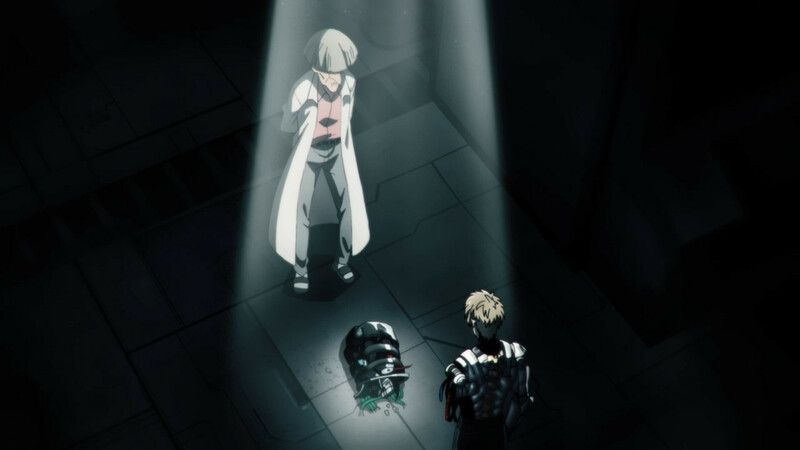 I thought the this episode was all over the place and certain gags they were building up was punctuated by the Genos fight and lost some of the comedy appeal. This was a 1-1 copy from the manga narrative and think that the studio could perhaps taken some liberties to deliver the gags. Maybe I have no idea what I am talking about but the first episode felt rather lackluster. Oh yeah it was all over the place, the rushing was quite noticeable at times which impacted the first half in particular. It’s probably a one-off though, many of the later fights are very important for the overall story so I expect things to slow down. my thought the entire episode : This is actually not bad at all ! 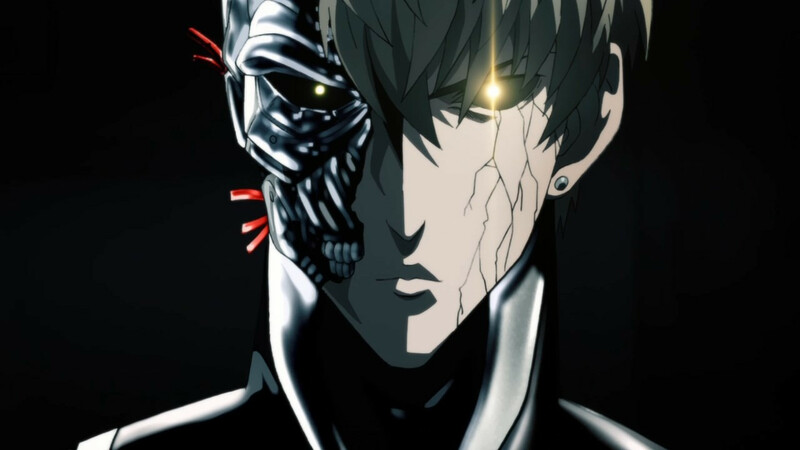 The only thing that bothered me abit was the lack of details on Genos’ cyborg body . Like his body is S1 was so extremely detailed it was a sight to appreciate. But that’s minor compared to the grand picture. 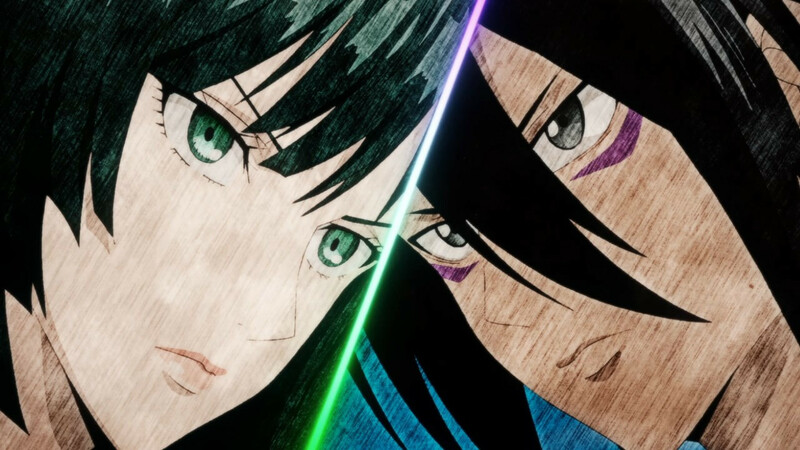 Them animating my 2 fav Characters King and Fubuki made me smile ear to ear the entire time. 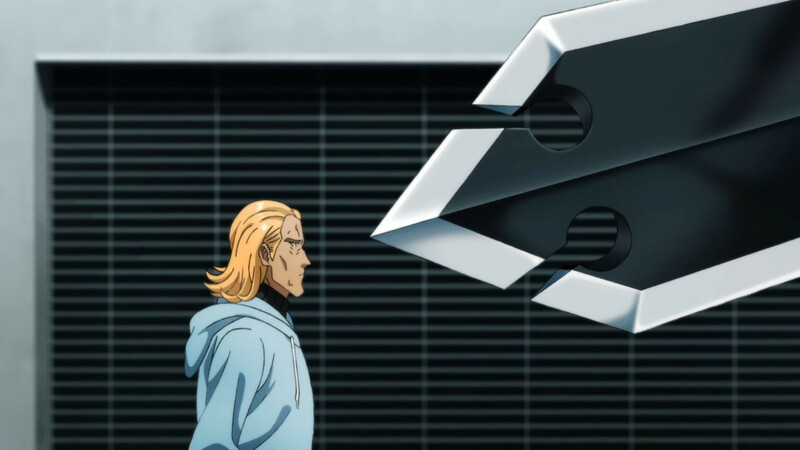 Genos’ body really disappoints me, but I can live with it so long as the fights don’t devolve into Index’s fight quality. That was terribad haha. I love that the fan base kept the secret about King all this time with many throwing out fake spoilers to keep at least me fooled. Is fake spoiler “foilers” I think. Glad I’m not an animation first viewer. Mess up the storyline I get upset if it is done badly. 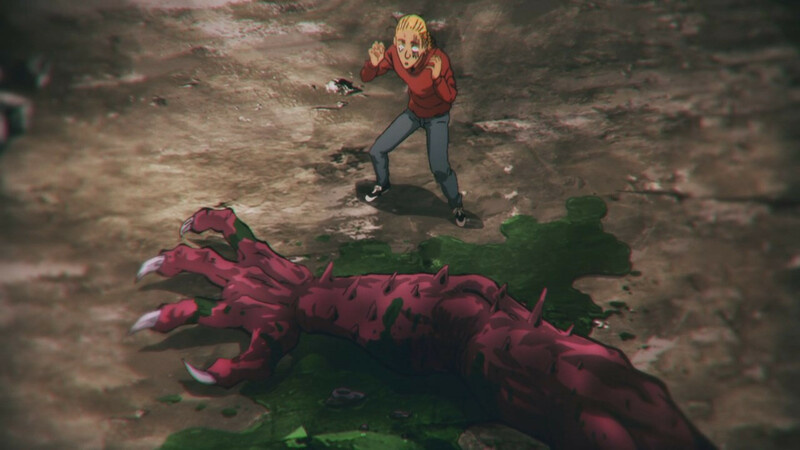 Unpleasant when I enjoy an episode and hate about the animation especially manga vs anime fills all the chat as I wanted to see others who had liked the story. 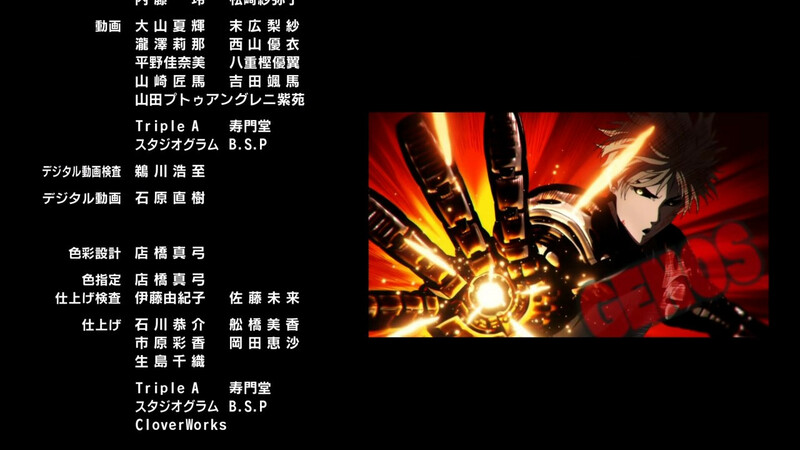 Luckily not as bad this time as the animation was a B to me, good but not great. 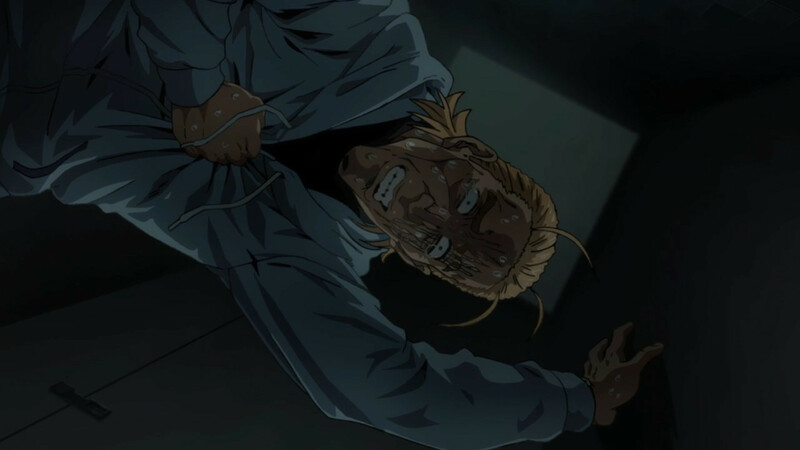 And rage about not including an end of season cliffhanger when the anime is facing years till next episode when manga was a few months at the most wait. 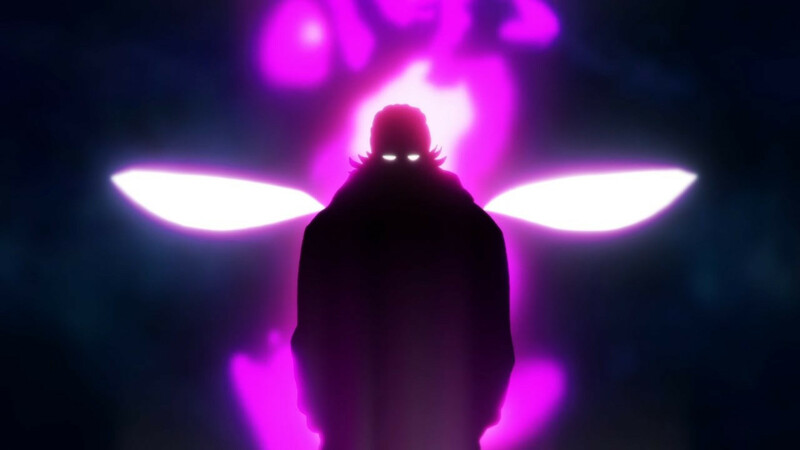 Silly Hero Association only top A hero’s for villain meeting when there are S class equivalent villains out there. 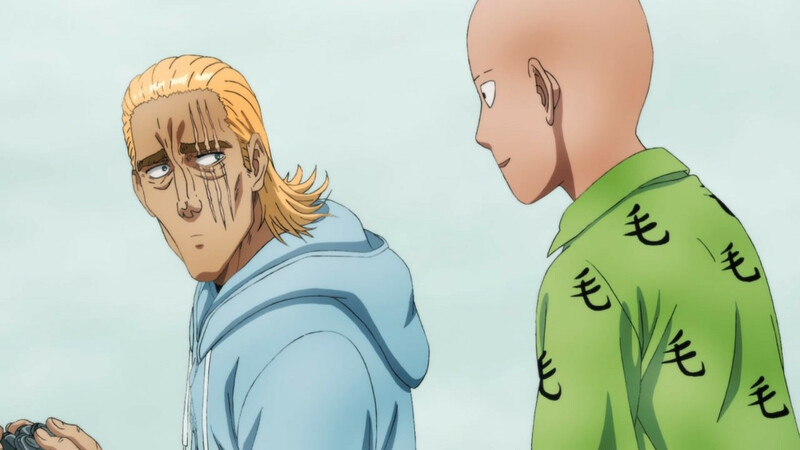 At least OPM has someone to give him a challenge at something. 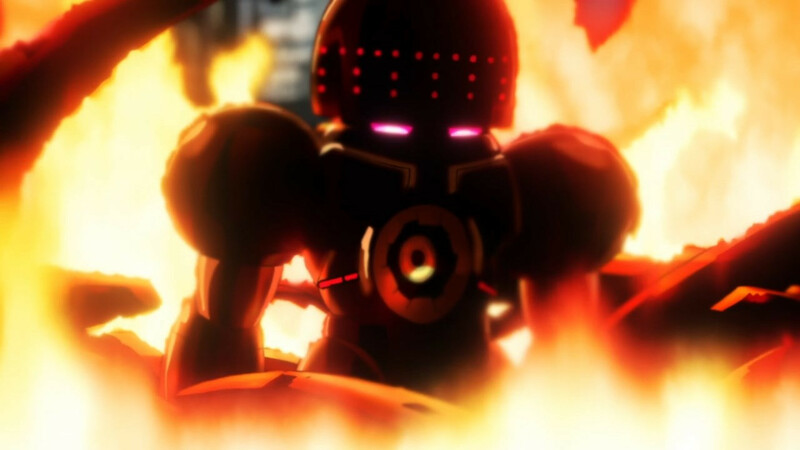 Well except maybe last season ONE might bring in one of the destroys planets with a light attack type villain that other Super Hero universes have. 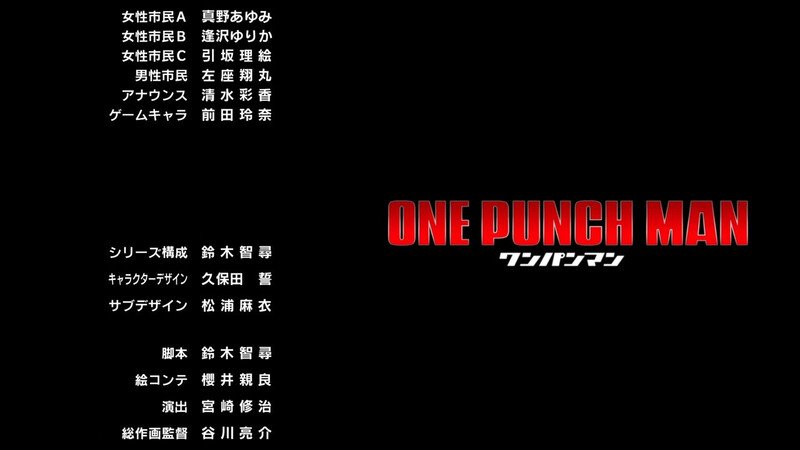 After all one key to the comedy is how OPM has no challenge. 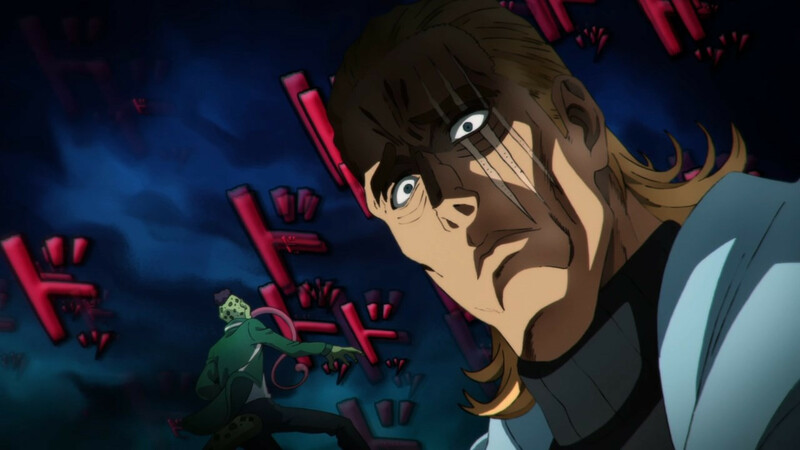 They never put ‘fake spoilers’ they always said that King would be the one that finally beat Saitams, they just never mentioned how. 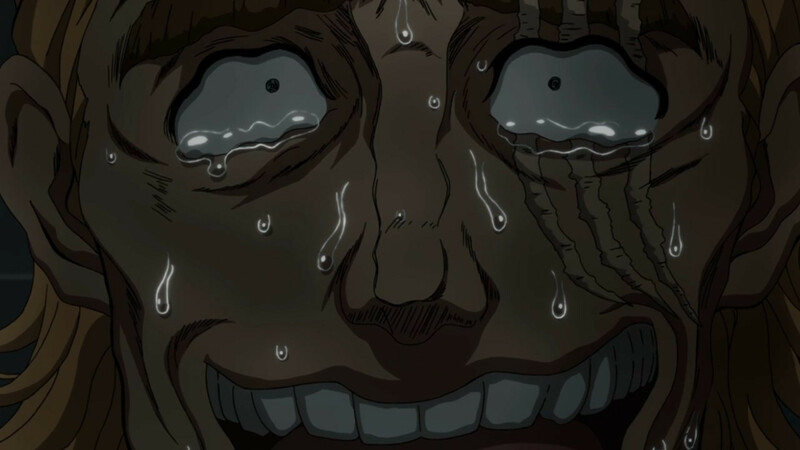 I never saw what the big deal with the animation in the first season was, nor do I understand the wailing and gnashing of teeth about the animation of the second season, which looks pretty solid to me. Overall, the show feels like more of the same — which is exactly what I’d expect and hope for. It goes way over the top, but doesn’t take itself too seriously, and remains an enjoyable popcorn flick. It’s mostly down to Madhouse doing 2D animation in a quality we rarely see these days. 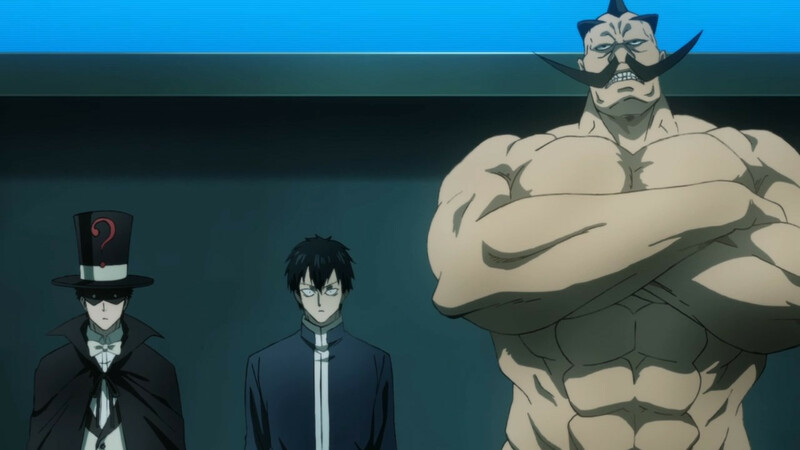 Matching that quality takes plenty of talent and money, and given J.C. Staff was brought in to do this season both clearly were lacking this time around—and fans were naturally worried. Not really an issue in hindsight though given what we got here, considering the usual approach to adaptation work these days this is pretty damn great. 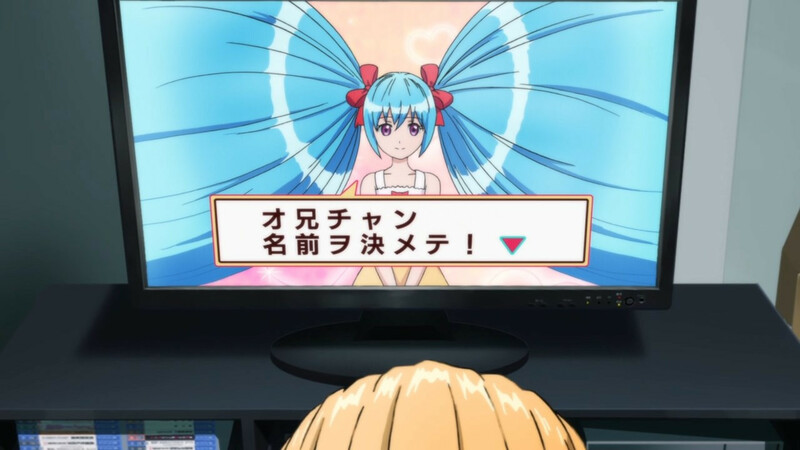 Wait, isn’t this a remake of one of the OAD of season one ? I feel like I am the only one here that didn’t know. Are they going to re-do all the OADs ? When will they air the first episode covering new material ? in six weeks ? I didn’t watch the OADs so I don’t know what those covered, but Season 2 is starting right where Season 1 left off in the manga. 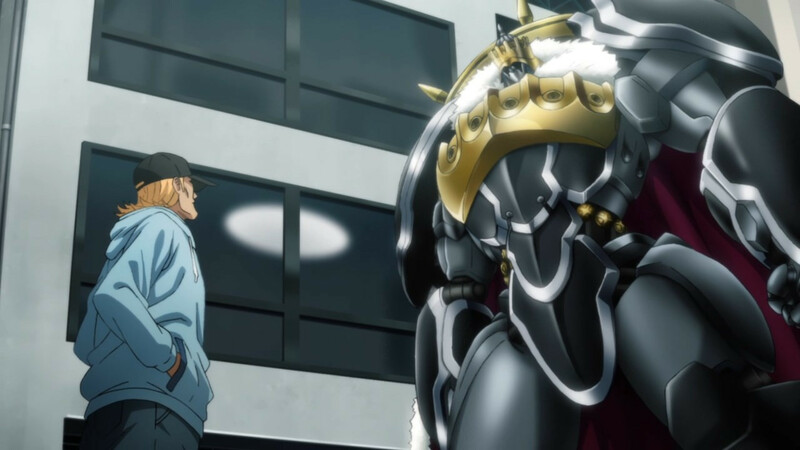 The Boros arc from S1 ended in chapter 37 in the manga; S2′s first episode covers manga chapters 38-40. I saw all the OADs and I don’t remember anything here happening in any of them. 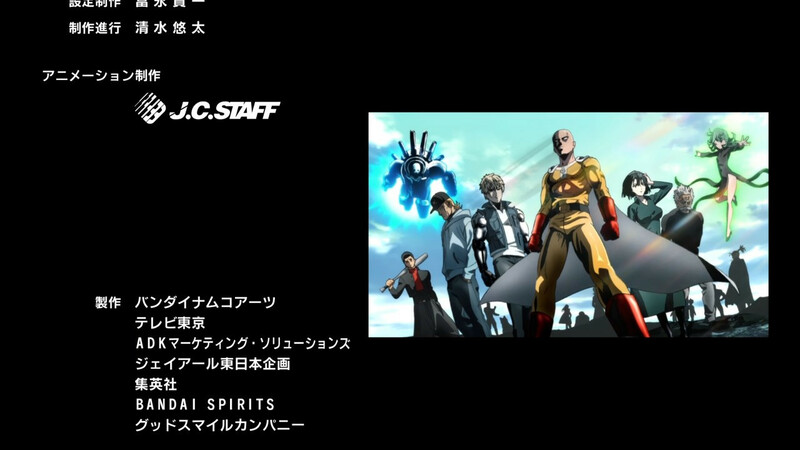 Yeah this is new material, there’s no reason to repeat previously seen material, especially for a single cour show. Sorry guys I was sorely mistaken. Good sh*! I’ve been waiting for this for a long time. I wonder if some of the low budget dreck we’ve seen this lately has come from a lack of confidence from the studio in the work? There’s been a clear downward decline in physical media sales over the years, perhaps studios are readjusting to meet what they think they will recoup at retail? To be clear I wasn’t calling this show in-particular dreck(I quite enjoyed the first season), just there’s quite a few shows from what I’ve seen this season that would easily qualify. Well, that was better than I expected.